Through Khayaal, we try to re-imagine this concept of static museums and create a more interactive space for people to contribute and associate themselves with. For this event, we would invite and include people from all walks of life to a platform where they share and exhibit their own unique regional identity and what their culture stands for. Through a small interaction and exhibition, we would try to create a temporary cultural space to instigate conversations regarding museums and their role in the society. 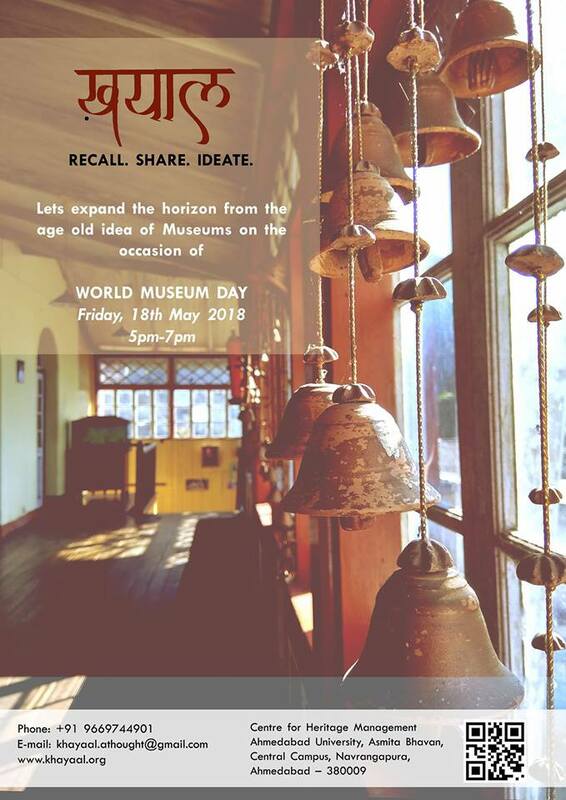 This would be followed by a Museum Housie- a checklist of museums in Ahmedabad and their problems, prospects and recommendations to know the reach of the local museums and the launch of a new idea in this sector of curations.